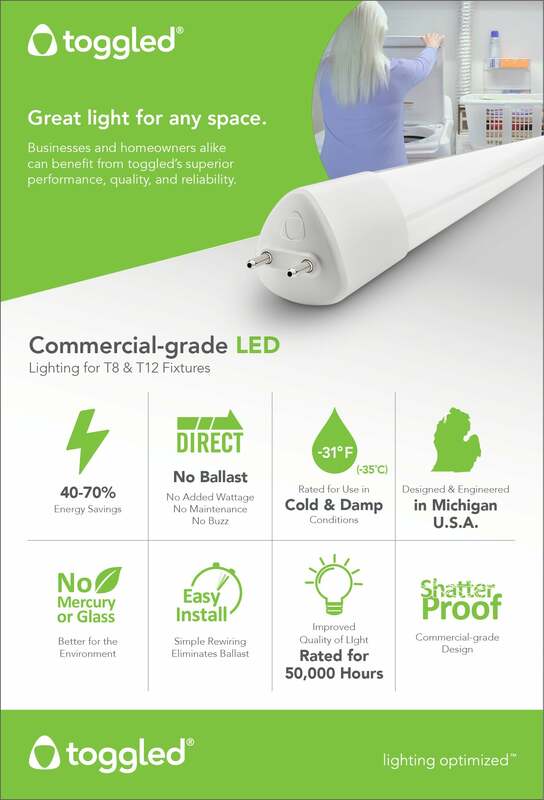 The toggled 4-foot (48-inch) 16-watt linear LED tube light bulb is designed to replace T8/T12 fluorescent tube lights to significantly lower energy and maintenance costs while enhancing the quality of light in work environments and living spaces. This Day Light (5000K) standard output LED bulb delivers a whiter light for improved color contrast and is a popular choice for commercial / industrial environments with elevated ceilings, healthcare, retail, office, schools, garages and similar lighting applications. Ideal for recessed troffers, wrap fixtures, under cabinet fixtures, sealed fixtures, deep cell troffers, and strip/shop fixtures.